"Crossroads Baker" test of 25 July 1946 at Bikini Atoll. Photo via US Government. For one, typical atomic bombs use nuclear fission, or the splitting of unstable uranium or plutonium atoms, to enhance a bomb's blasting power. When the atoms are split, their subatomic neutrons go free, splitting up more atoms and unleashing devastating amounts of energy. These types of atomic bombs were the ones used in World War II against Japan, and they're what experts believe North Korea has been testing up until now. But the tremors felt during Sunday's test may have belonged to a hydrogen bomb blast, albeit a small one — though experts are still sceptical. Hydrogen bombs, or thermonuclear bombs, are actually a lot scarier than your run-of-the-mill atomic bombs. They have thermonuclear fuel inside that can be ignited during the first stage, which is still powered by nuclear fission. But "H-bombs" have another trick up their sleeve. They employ a second stage of reactions using nuclear fusion (the force that powers the Sun) to basically magnify the destructive force of a typical atomic explosion. 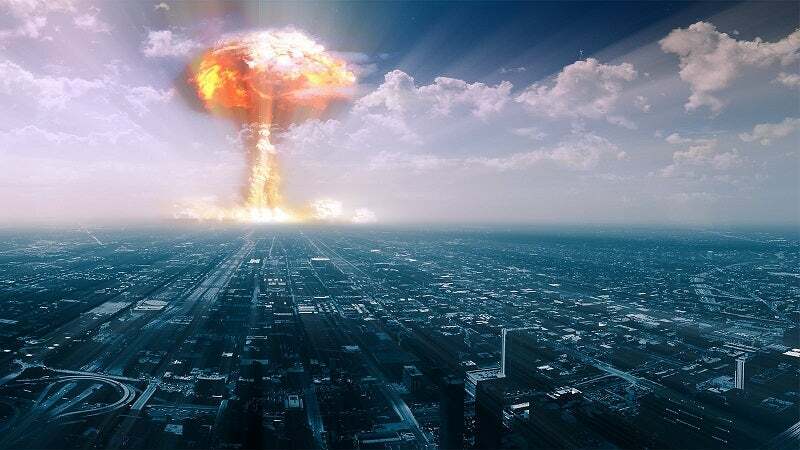 As the fusion of deuterium and tritium (types of hydrogen) occurs and atoms link together, they fire off neutrons to create even more destructive power in a chain reaction when they come in contact with the bomb's uranium layer. If you thought atomic bombs were bad, these things are truly nasty. This is advice I hope you never need but should know anyway. A nuclear attack is everybody's worst nightmare, and the immediate aftermath is just as bad, if not worse, than the explosion itself. 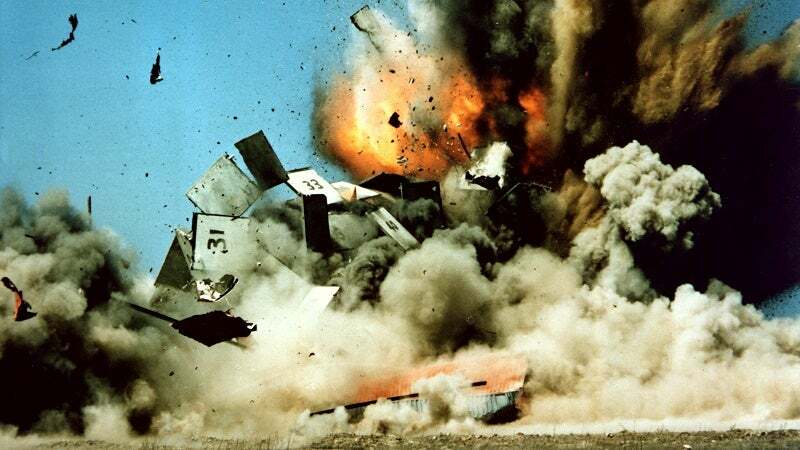 Here's what you should do if you survive the initial blast. 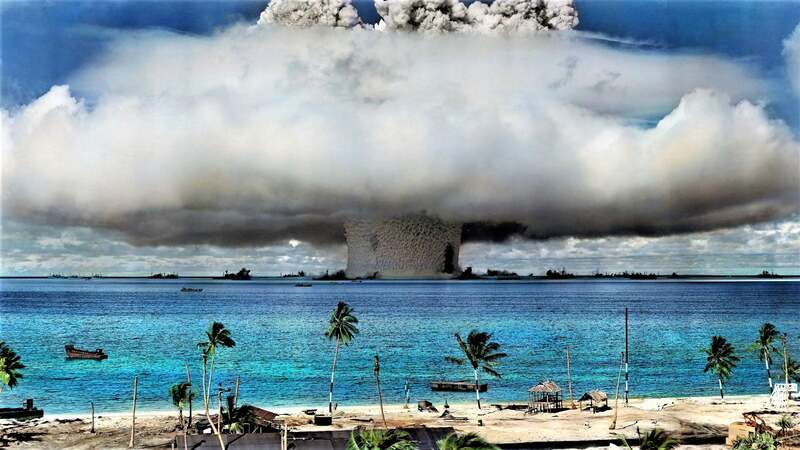 To give you some perspective, the first thermonuclear bomb the US tested at Bikini Atoll in 1954, dubbed "Castle Bravo", was over 1000 times more powerful than the standard atomic bomb, "Little Boy", dropped on Hiroshima in 1945 by the Enola Gay. That bomb killed 66,000 people almost instantly, and left at least 69,000 injured and sick, so imagine what a thermonuclear bomb could do. In fact, the Castle Bravo blast was so intense, its designers were taken by surprise when it went off. They miscalculated the yield of the blast by almost 10 megatons, and it resulted in serious radiation contamination in the area and radiation sickness for the local islanders. Another way to explain the difference in devastation: An atomic bomb could kill half of Manhattan; a hydrogen bomb could vaporise the entire city of New York. Still, experts are sceptical that North Korea has the capability to build and detonate a hydrogen bomb. This isn't even the first time they have claimed to do such a thing either. In January of 2016 they also claimed to detonate an h-bomb, but experts were sceptical then too. The notion of an h-bomb test is concerning, but it's also possible North Korea tested what's known as a "boosted atomic bomb". These boosted bombs just add a little thermonuclear gas to the bomb's atomic core, increasing the blast yield, but not nearly as much as a hydrogen bomb. They're only about three times the blasting power as Little Boy. For now, we'll have to wait and see what US reconnaissance can tell us in the coming days. The first thermonuclear device was Ivy Mike, not Castle Bravo! Castle Bravo was a boosted fission only weapon, the largest of its kind ever tested still to thi date. It was a fallback incase the Mike device of operation Ivy(hence the name Ivy Mike) failed to work as planned! Author got the rest of the facts right and th image is certainly Mike's mushroom, just named it wrong. Wrong device and operation... lol! Boom boom...too soon? !